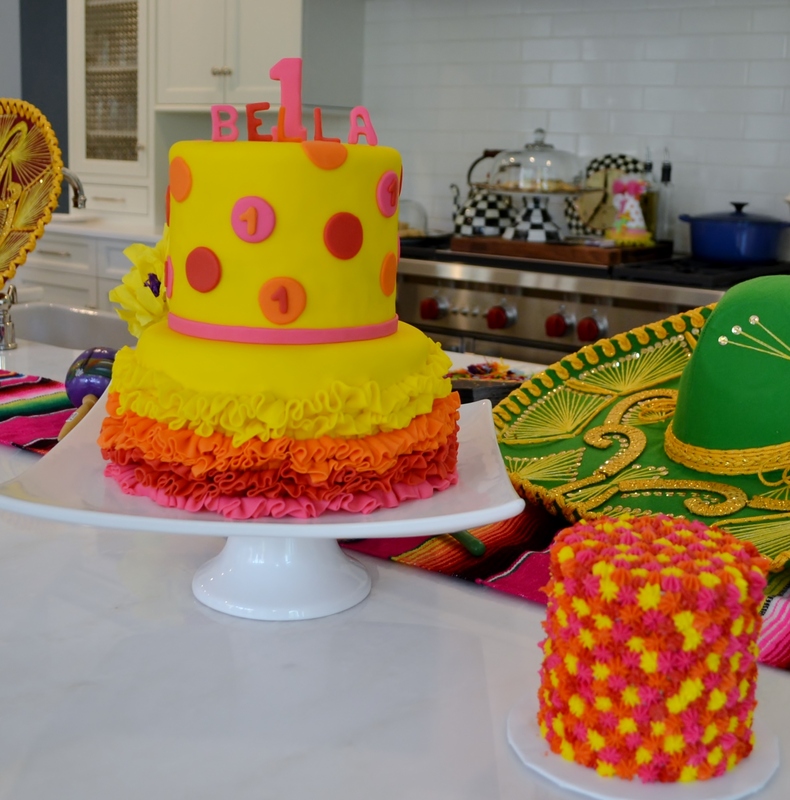 My client for this cake was throwing a Cinco De Mayo themed first birthday for her daughter. The super bright colors give a much more lively and festive feel which is perfect for this type of party. The main cake is a two tiered cake covered in fondant and topped with a 3-D number “1” and the birthday girl’s name. The smash cake is covered in buttercream “stars” which makes this smash cake that much “smashier”!